Rural theatre company Pentabus, will be performing their hugely popular drama ‘Here I Belong’, a celebration of village life, at The Smith Memorial Hall, on Thursday 26th April. The show has had rave revues around the UK, with The Stage giving it four stars, describing it as “Intimate, affecting and quietly radical village hall theatre“. The drama is a funny and moving journey through sixty years of village life, with the story of Elsie, from the coronation in 1953 to her birthday party today. Elsie’s seen wars, weddings, elections, funerals, people coming and people going. Staged cabaret style, the action happens all around the audience. As the story moves forward through time the décor and actors change, taking the audience on a funny and moving journey through sixty years of village life. Tickets in advance: £10.00 (+£1.50 booking fee) or £12.00 on the door. 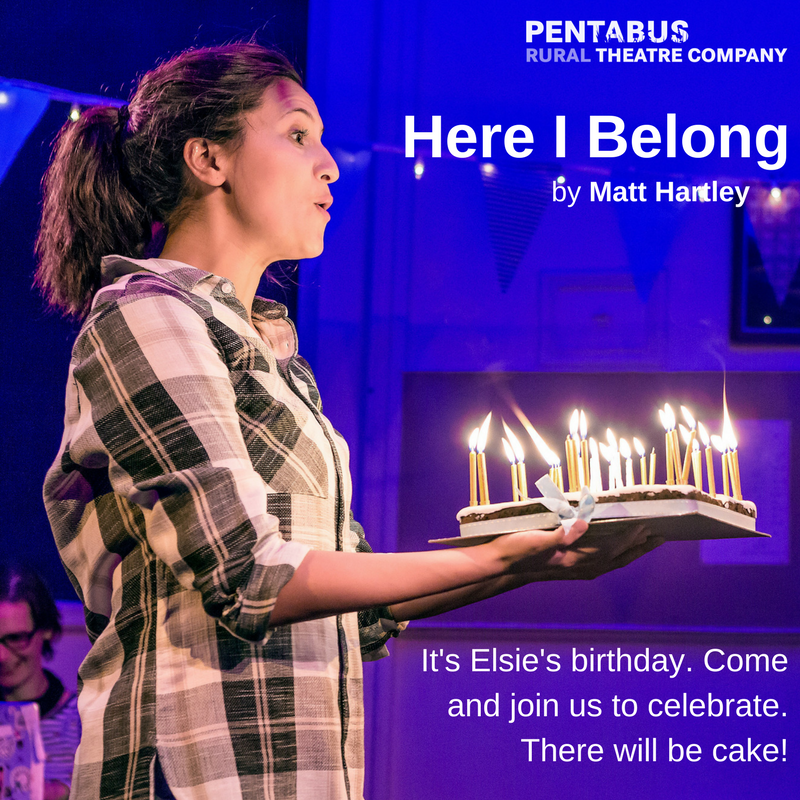 Bring your friends, bring your family or just bring yourself – there will be cake!